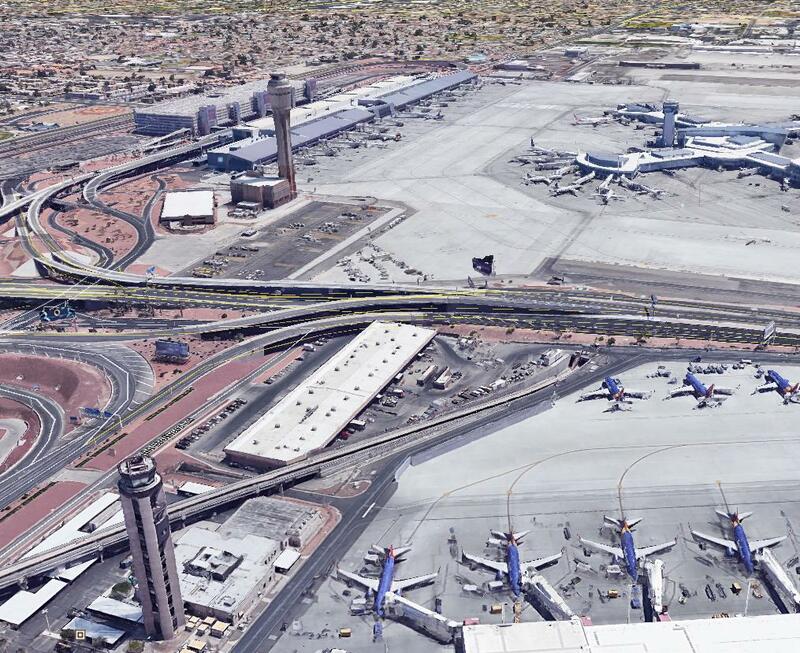 Why does the Las Vegas Airport have three control towers? I just noticed, and I find it a little weird. There should only be one... Does anybody know details on how this came about? And how they work like that? EDIT: Not a duplicate, the question is specific to Las Vegas Airport, the other question is about another airport. One of those is the old tower, built in 1983, and scheduled for demolition. The new tower is in a better location, and tall enough that it doesn't have blind spots. I couldn't find a reference to if the D-Gate mini-tower will continue, or be demolished. airports which have existed for many years often have a succession of control towers which were built in each revision of the airport, and in some cases the older ones are allowed to stand. I look for them each time I land at an unfamiliar airport- the more towers, the older the airport, and the more history there is in front of me. Previous commenters are correct that old towers can stay around well after a new one is put up. Look at IAD. I'd also add that sometimes there are ramp towers at airports and they can look like regular air traffic control towers. The mini tower is the East Ramp Control tower, used to park planes at assigned gates. There is another Ramp Control Tower situated on the south end of the terminal 1 garage that monitors the west airfield. How do you contact ATC if you want to do RC flying in the US? How does Air Traffic Control know a flight's route and destination?